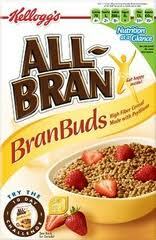 Head on over to get another freebie from All Bran! This looks like a new offer, so if you have gotten a freebie from them previously, you should be able to get this one. Since the weather has been cooler here, I have been making heartier meals...you know, the stick-to-your-ribs kind of dinners! I found this recipe over at allyou. It looks amazing!! Place tomatoes, onion, garlic, raisins (if using), brown sugar and lemon juice in a slow cooker and stir to combine. Sprinkle brisket with 1 1/2 tsp. salt and season with pepper. 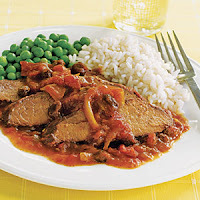 Place brisket on tomato mixture and then spoon half of tomato mixture on meat. Cover and cook on high until meat is fork tender, 5 to 6 hours. Transfer brisket to a cutting board, tent with foil to keep warm, and let stand for 10 minutes. Skim fat from sauce and discard; season sauce with salt and pepper. Slice brisket across grain, transfer to a serving platter and spoon some sauce over meat. Oh that looks awesome! I've gotta grab some brisket next time I'm at Sam's! That recipe looks yummy... I love these food samples that keep coming out!! Very yummy! And it is nuts here too! I hate getting everyone into the swing of things!